Why do we work? The easy answer is money, but working has many purposes in our lives. It gives us a sense of accomplishment, gives us a place to meet new people, it allows us to be creative, it gives us the opportunity to travel, and it gives us the chance to benefit others. Above all factors (even money), the importance of a job with fulfilling work has become increasingly prominent amongst the desires of modern employee. The notion of finding fulfilling work is relatively new. When Samuel Johnson published “A Dictionary of the English Language” in 1755, “fulfillment” was not among the 42,773 words found in it. 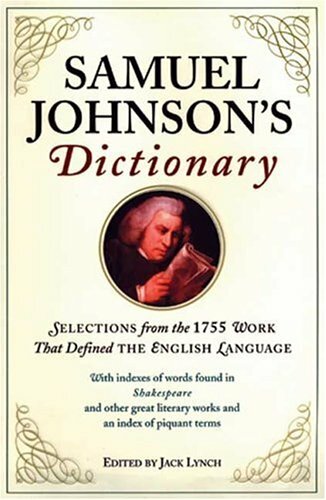 Johnson did write the entire work by himself over a period of nine years, so perhaps he forgot to include it; nevertheless, happiness and fulfilling work was not a regular part of our vocabulary in the 18th century. Happiness was seen a luxury afforded to the few belonging to the wealthy aristocratic class, and the majority of the population viewed their existence in a much more functional way. Another word that was present in Johnson’s dictionary but not commonly associated with employment was concept of choice. Before the mid 19th century, the number of occupations was far smaller: a typical pre-Industrial era commoner could expect to pursue one of a few dozen different roles. Today, the number of possible careers is estimated at almost half a million. Confusion about what type of work to pursue in order to make ourselves feel fulfilled is one of the greatest problems facing new graduates. You would think that more choice is a good thing – variety is the spice of life, right? Well, it’s not that simple. Before the 19th century, you weren’t concerned as much with happiness and fulfilling work as you were with simply surviving the winter and keeping your Lord or local magistrate off your case by doing your duty to whichever aristocracy you lived in. Today, citizens of developed countries have more choice and freedom than ever, but in a paradoxical twist, these excellent living conditions have caused widespread career choice paralysis and status anxiety. 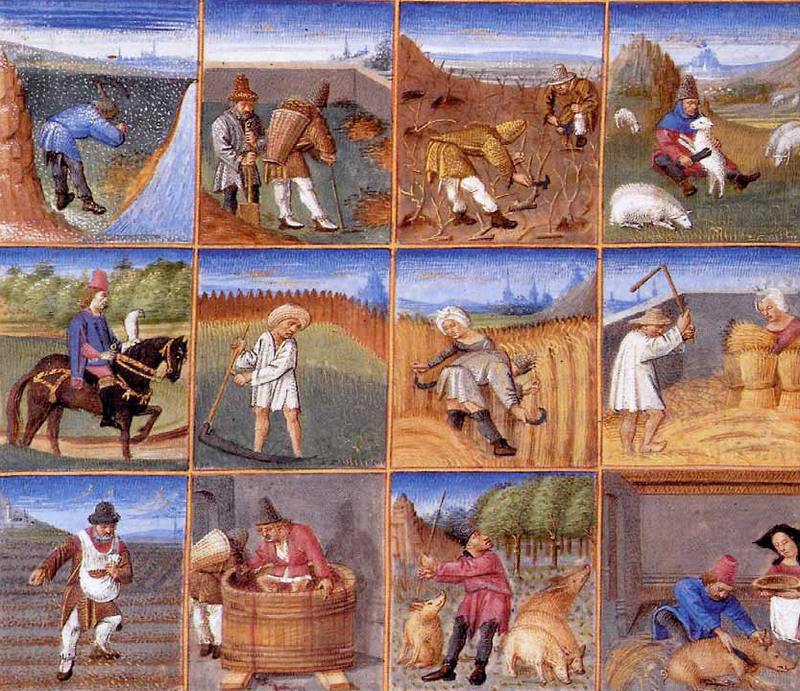 A sample of the types of jobs available pre-Industrial Revolution. We have a seemingly unlimited number of career options and a large amount of confusion has arisen as a result of this situation. In the past your choice was simple: if your father were a blacksmith or a farmer, you were likely destined for the same career. If your father were the King of Denmark, you were destined to eventually succeed him except in the event of a Shakespearean-level tragedy. We do not have the same luxury in our present day. If your father is a physician, who’s to say you can’t be an artist, an accountant, or a heavy equipment mechanic? The abundance of choice is an intense anesthetic for our decision-making process. A popular narrative spoken today is to abandon the traditional North American corporate world and live the life that you deserve as a young twenty-something. We are bombarded with personal accounts of how people gave up their boring 9-5 job, went traveling instead to find themselves, and now they couldn’t be happier. While the motivation behind this narrative is certainly a noble one, there are numerous flaws with following this path, not to mention the people who hold this view may have a sense of entitlement. For example, a lucrative salary is an especially high motivator for a new graduate if they did not come from a wealthy family. If you desire to earn a high income upon graduation, do not feel as if you are making a poor decision despite what other people may tell you. They may have been raised in a wealthier family, so the motivation to earn a higher salary may not resonate on the same level with them as it does with you. The same goes for the desire to own a large home, have a certain number of (or any) children, own an exotic sports car, be a prominent and influential member of your community, or travel and work in numerous foreign places. These certainly can contribute to happiness, but happiness is only universal in our shared desire to pursue it, not by the process in which we achieve it. Choice, therefore, becomes all the more confounding as we progress through life. We may think that we know what will make us happy, but what if we are basing our assumption on what makes others happy? What we may have been unaware of during our decision-making process is the fact that happiness is relative. Once you begin to understand and recognize that happiness is relative, you can start to think about what things in life, specifically related to your career and lifestyle, will bring you the most happiness. Some people will genuinely enjoy making a lot of money more than others will; same goes for those who want to drive an exotic sports car, live a simple life in a rural area, live a nomadic life working abroad, or be a reclusive author in a log cabin in the middle of the woods. Choice functions as both an enabler and a disabler in our quest for happiness, so it is paramount that we learn to discern between what choices are correct for our own fulfillment and what path are best left to others. Choice has also affected another important part of our lives: relationships. 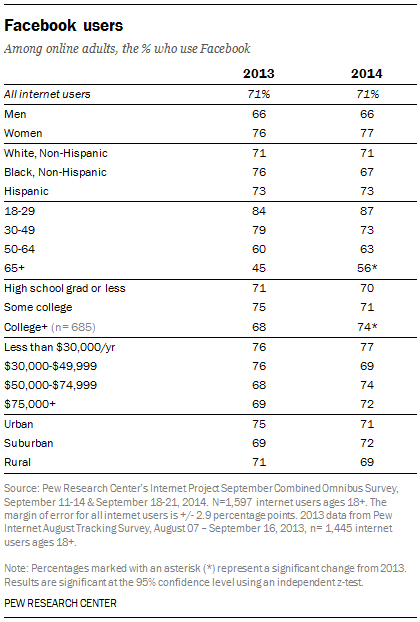 As of 2014, 87% of North Americans aged 18-29 had a Facebook account and 56% had an Instagram account, which increased from 2013 totals of 84% and 37%, respectively. Most of us browse one or both of those accounts each day, and almost half of us browse them the moment we wake up. This means that the first images in our brain are of people we know or follow, whether they’re selfies, a picture of them at the beach, or a photo with other people we may also know. Every day, our limits for commitment are being tested as we are constantly being reminded of how many available partners are out there; choice is really screwing with our heads. The rampancy of dating apps like Tinder is also indicative of our addiction to and dissatisfaction with the amount of choice we have when it comes to our options for a relationship partner. The question of “what if?” is an all too common one. If we commit to one person, then we could be sabotaging our chances of meeting our soulmate on our iPhone next week! As mentioned before, choice is paradoxical in nature. While the number of romantic partners that we are aware of and can choose from has increased drastically from even a decade ago, our mental and emotional capacity to effectively handle them has not. We don’t evolve at the same rate that technology does. While the prospect of meeting a greatly increased number of people is enticing, we as humans are a monogamous species at our core. We live longer, have better overall health, and are generally happier if we are in a committed relationship. This is has been supported time and time again by psychological research. Many of us are so worried about making a high salary and dating a model to impress our friends that we forget that those things are actually defensive in nature; they’re based on underlying competitive motives to seek external validation from people who already like us for who we are. If we aren’t living up to our potential or dating someone who is making us unhappy, then our friends might be unimpressed, but neither of those are directly related to your annual salary or how hot your girlfriend is. As a result of the amount of choice we have available, another problem known as performance bias has creeped into our culture. When you try really hard to impress people, whether that validation is sought from a high-paying job or an attractive partner, you are positioning yourself for a risky fallout. As a result of the increased visibility many of our lives now have, a situation where we have been put on stage to perform for our social media audience has been formed. Now we feel the need to omit all failures from our lives and only broadcast our best and brightest moments. At surface level, that’s encouraging; failure doesn’t sell or spread, and even if it gives us a twinge of envy, we do enjoy seeing our friends share their successes with the world. The notion of performing for our respective audiences is partly responsible for what motivates us to be choosy; what we end up choosing has to be perfect so it can impress as many people as possible, even if deep down it is actually making us miserable. If we aren’t living a life worth broadcasting to our audience, we run the risk of fading into the background, and eventually, drifting offstage left to watch others star in tonight’s performance of life. While it ultimately doesn’t matter whether or not we’re prominent in the performance, it can be a haunting notion for many of us to no longer be admired by the audience we created. 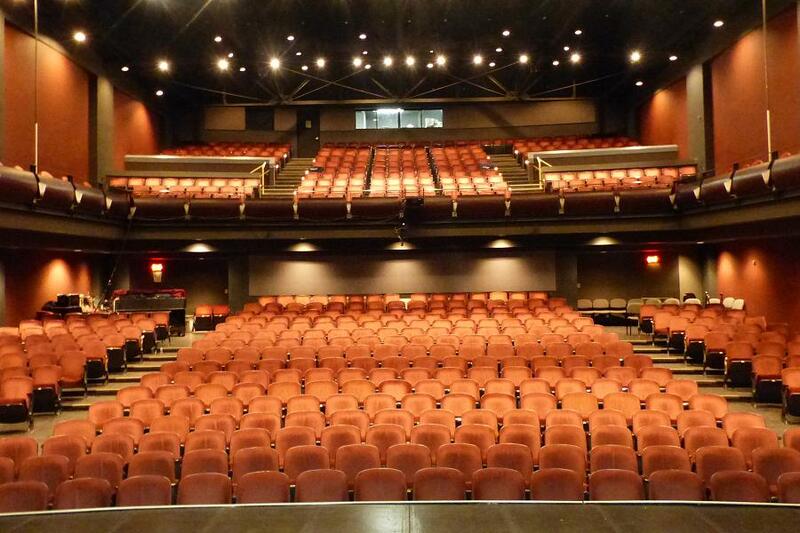 What we need to remember is that this audience, like our performance we have crafted for them, is entirely illusory. Our lives on social media are a performance for an audience; both are illusory in nature. In his 2005 book The Paradox of Choice, psychologist Barry Schwartz concludes that the amount of choice, freedom, and autonomy present for North Americans is encouraging, but interestingly, these liberties have actually been harmful from a psychological perspective. Picture yourself standing in a large dark room with many exits present. If you live in a world with little choice, your path is dimly lit in a single direction towards a door. You’re not sure if this is the right path for you, but it’s the only one that you have available. If you live in a world with an abundance of choice, the entire room is lit up and you’re not sure where you can go. Perhaps the doors are different colours or sizes, but even then you would still have a tough time deciding where to exit, and would likely encounter more anxiety throughout your decision process than the single outcome situation in the first scenario. This is what it’s like to live in our world today. It’s so difficult today to choose between a career, a partner, or what side to order with your burger that we are often struck with a case of analysis paralysis. Schwartz notes that we often feel sad after making decisions because of missed opportunities. We have cases of FOMO and envy relating to what our peers are doing, but we need to understand that we can’t have it all. No choice is perfect, so as long as you understand yourself fairly well and have a good idea about what career is right for you or what constitutes a healthy relationship, you shouldn’t be doubtful of your decision. Take note of expert consensus, not anecdotal evidence. According to Harvard psychologist Daniel Gilbert, our imaginations are actually poor predictors of what will make us happy. Relying on the informed opinion of experts or their reported experiences related to a decision you’re evaluating is far better than simply taking one person’s word for it. Being flexible as it relates to goals is also crucial for positive outcomes of decision making. A thorough and concrete understanding of one’s self and honest reflection throughout the process are the keys to determining what sort of career or partner is best for you. Additionally, remember that happiness is relative. Humans are adept at finding happiness no matter what their environment, so choose the one that’s best suited to your tastes. Trying hard to impress an artificial audience with an illusory portrayal of your life will only induce more anxiety, not curb it. Above all else, recognize the paradox of choice and remain organized and focused throughout your decision-making process; you’ll thank yourself for it years later knowing you made the correct choice for yourself.